The beauty about Peruvian food is that no matter what type of person you are, you will find something that will ‘wow’ you. You might be the experimental type who will try anything in the name of cuisine, the classic person who wants to eat traditional dishes within reason, or the conservative, who wants something similar to what they eat back home, just done the local way. Whichever category you fit into, these traditional restaurants in Arequipa will make your mouth water just reading about them. You don’t really need to speak any Spanish to understand that this restaurant really needs no introduction to the list, as ‘The Arequipa Tradition’ says it all. Local food, local feel, local music. Typical fish dishes, soups, desserts and even guinea pig, for the adventurous eater, give you the full experience. A lively feel, as meal time in Latin America is more than just a meal, but the atmosphere and music are always at a great level to make you feel welcome. Knock off two great spots in Arequipa, and visit the beautiful Yanahuara area of Arequipa, and watch the sunset from the Mirador, and then get filled up on some terrific Peruvian food. Typical in Latin America is the ‘order all and share’ type of dining experience, and La Nueva Palomino fits in with this trend, as the dishes are big in size and flavour. The debate of where Pisco, the Latin brandy, came from, will change when you go from Peru to Chile; however, whilst in Arequipa, just believe it’s Peru’s invention, especially when in the ‘Big House of Pisco’. This restaurant offers much more than beverages. Impeccable presentation and powerful flavours, La Casona del Pisco is for the real food lover. 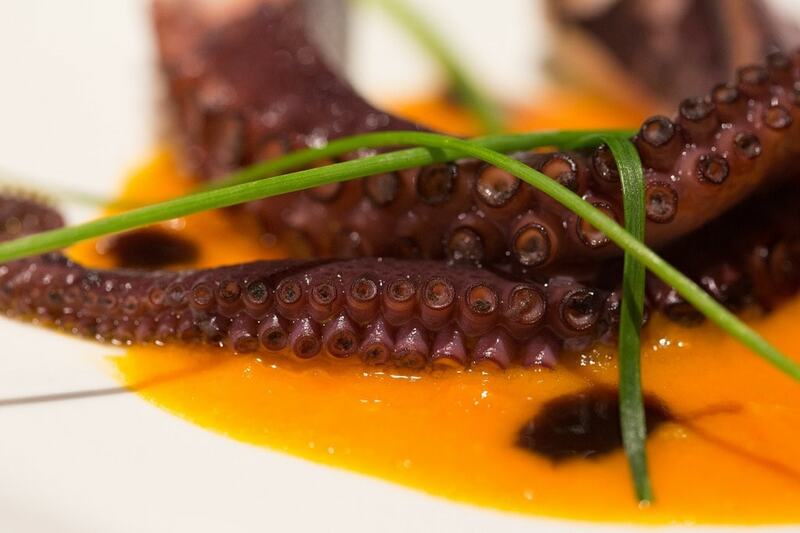 Special recommendations include the stuffed peppers, grilled octopus, and, of course, a Pisco Sour. They are big, so order it after your appetizer! A very elegant dining experience, a short walk from the Plaza de Armas, Dimas will have you understanding the claims that Peru is the ‘top culinary destination in Latin America’. Michelin-star-quality presentation, and daring yet traditional combinations like alpaca and quinoa risotto, but also vegetarian-friendly options. A beautiful grand setting as well adds to the dining experience. Again, a great sign if you are on the hunt for typical food is a restaurant named, ‘typical’ with a fashionable ‘K’ replacing the ‘C’; however, there is nothing on the menu here that needs to be replaced. It is traditional Peruvian food, typical Peruvian spices, large portions, and a gorgeous indoor dining area, or outdoor seating for lunch or a warm evening. Look for the restaurant with the colourful sign, and you will be assured to have an equally colourful experience. The owners are very hands-on with the terrific service and want to ensure you are completely satisfied and full upon departing. Vegetarian and vegan options are also available, and they are famous for the many delicious ways to prepare, and pronounce, potatoes. A full Arequipa experience and well worth the visit for lunch or dinner. Sol de Mayo will offer you one of the oldest dining experiences, as the restaurant itself has been an Arequipa staple for locals, and now visitors, for over a century. In the early afternoon, until the evening, you can enjoy live folk music, but if you are arriving for dinner, you may want to contact them as they fill up quickly – so set your reservation, and when you’re there, try the duck with rice or the classic stuffed pepper, but really, nothing will disappoint. Not to be outdone, La Capitana was established in 1899, and you will have to cross the Chili River to enjoy this one, but it is a great way to see another part of the diverse city of Arequipa, and enjoy an evening walk back to the center as you digest. This is a real ‘eat where the locals eat’ type of place, and you will receive a full menu of traditional dishes and flavours in a busy yet casual dining experience. 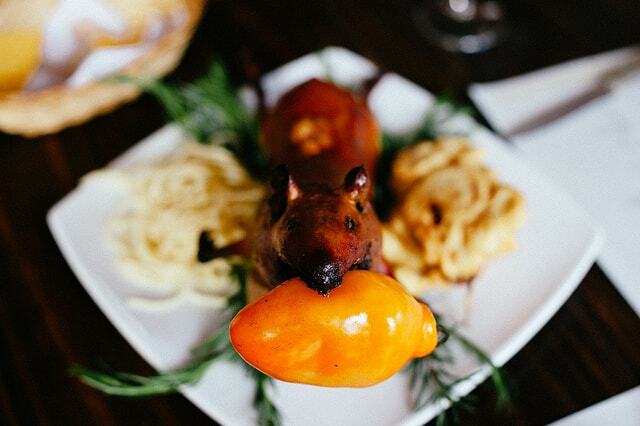 With an extensive wine list, a casual, cozy setting, a view to watch the chef cook, all rounded off with some delicious flavours, Zingaro is another good place for trying very local selections of cuisine such as the ‘cuy’, or fried guinea pig, or typical Amazonian fish. They have a great selection for a food crawl, where you can try multiple dishes, and terrific for pairing with wines from all regions of South America. Zig Zag provides a unique setting as you dine under an arching roof of white ‘sillar’, with very knowledgeable and patient servers who take the time to explain and romance the menu. 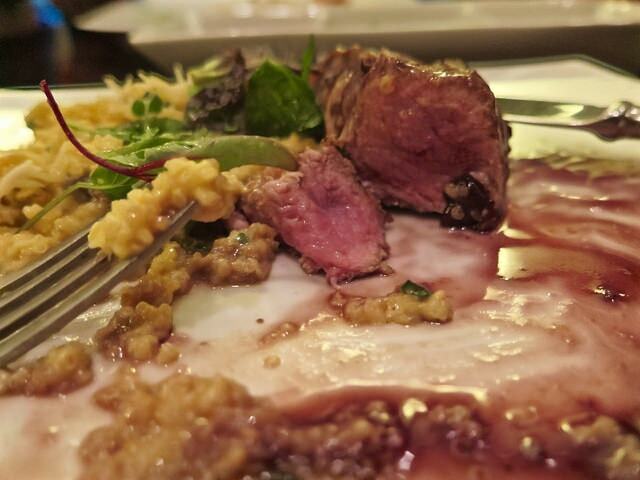 If you have never tried alpaca, Zig Zag is a great place to indulge, and adding to the experience, it will arrive sizzling on a bed of volcano rock.